For many, a carry-on bag is the ultimate travel accessory. But which is right for you? We've picked the best across a broad range of categories. For many, a carry-on bag is the ultimate travel accessory. Provided it’s the right size, and you stay within airline weight restrictions, it will save you time and money almost every time you fly. But which one should you buy? There’s a bewildering array of bags out there, and you can narrow your options by focusing on your priorities. Do you fly all the time and need something durable and manoeuvrable? A hard case will help – with four wheels at the base, rather than two. Are you going to be using the bag when you’re out and about, and need your hands free? A rucksack is probably the answer. And if you struggle to stay with within cabin baggage weight restrictions, you should target a featherlight case, so you can save your allowance for the things that matter. 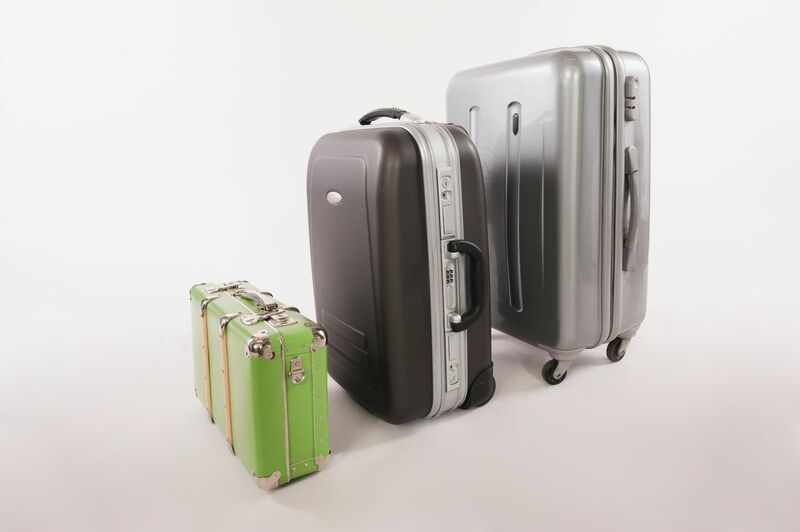 Bear in mind also that if you want a bag that will fit on absolutely every airline, select one that’s 55x35x20cm or smaller – although 55x40x20cm will still fit on the vast majority. Why we love it: this sturdy bag comes in a trio of candy colours and has many of the features of high-end cases – streamlined design, four 360-degree wheels for flexible trundling, scratch-resistance – while costing a fraction of the price. Need to know: at 2.8kg, it may be one of the heavier bags on this list, but it also has the biggest capacity, making it a great choice for a long weekend away without the added expense of having to pay to check in bags. Why we love it: sometimes, wheels just aren’t practical – or you may just prefer to travel hands-free. The Farpoint 40 is Osprey’s lightest travel backpack but it can be packed like a suitcase, as it has a large, lockable zippered opening, inner compression straps and carry handles at the top and side. The harness and hip belt can also be zipped away, making it particularly handy if you ever do decide to check it in. Need to know: yes, it can double as a case, but the Farpoint 40 is a brilliant backpack too. Made from light and durable ripstop nylon, it has a breathable back panel to make life less sweaty when it’s hot. Meanwhile, its proper, belt-and-braces harness holds the pack in place and spreads the load across both shoulders and hips. Best of all, men’s and women’s versions allow for different body shapes. Note: the standard case is visible above. Why we love it: Eastpak recently unveiled this Andy Warhol special edition, so the popular Tranverz S model is now available with a pop-art injection. It not only looks good, but its soft exterior is cleverly designed so it can be folded up and packed away when not in use. Need to know: this has everything you’d want from a soft wheelie case: telescopic handle, smooth wheeling system and handy compression straps to reduce volume. The 30-year warranty is impressive, too. And those looking for something a little more demure can still buy the classic Tranverz S in a choice of 45 prints and colours. Why we love it: if you don’t know whether you’ll need to carry or wheel, this bag is the one for you. The Expanse’s backpack straps can be zipped away when not in use, but there’s also a set of multidirectional wheels for those times it’s easier to roll. What’s more, the back panel is designed to be easily secured to larger wheeled luggage. Need to know: Eagle Creek has paid particular attention to durability on this model, from the Bi-Tech™ Armor Lite material, created to disguise scuffs, to the heavy-duty wheel housing for dragging the bag over (nearly) all terrains. Dimensions 55x35x23cm Weight 2.7kg Volume 34 litres Price €185 app. Why we love it: this Herschel Supply Co case ticks all the style and luxury boxes while still managing to perform excellently as a modern piece of durable hand luggage. It has a retractable pull handle, padded grab handles and four super-smooth multidirectional wheels. Need to know: its sleek, moulded exterior not only looks good, but the hard-wearing shell means it can be effortlessly chucked in the overhead locker and wheeled all over the world. It’s low maintenance, too: if it gets a bit grubby on its travels, it can easily be wiped clean with warm water and a mild detergent. Why we love it: upmarket brand Rimowa has been making cases since 1898 and has a bullet-proof reputation for quality. Its characterful aluminium cases are the ones with elite appeal – but they do pick up dents and scratches en route. This lightweight polycarbonate version is significantly lighter and almost as durable, and its hard but flexible surface means it shrugs off most bumps without losing its sleek, shiny looks. Meanwhile, the pull-up handle has only one shaft, which leaves more room in the case for clothes. Need to know: the company’s approach to service is as hard-wearing as its cases. On top of a five-year warranty, it offers a network of 200 in-store maintenance centres around the world – as well as a repair service in a range of luxury hotels. Why we love it: the Cosmolite is a carry-on classic, so for the model’s tenth anniversary Samsonite reinvented the four-wheeler. The silhouette is the same, but it’s lighter than ever before and comes in head-turning gold or silver, with the option to add a laser engraving for a personalised touch. Need to know: the Cosmolite is easy to manoeuvre, thanks to its silent set of multidirectional wheels. It’s worth noting that at 55x40x20cm, this isn’t one-size-fits-all, but it will pass muster for the hand-luggage restrictions of the majority of airlines, including Aer Lingus, easyJet and Ryanair. 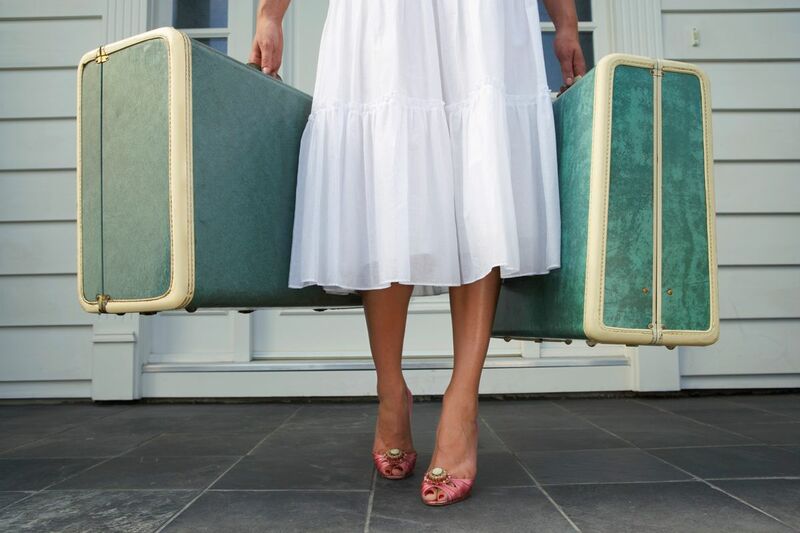 (If you’re in doubt, Samsonite provides a handy tool for choosing compatible luggage). 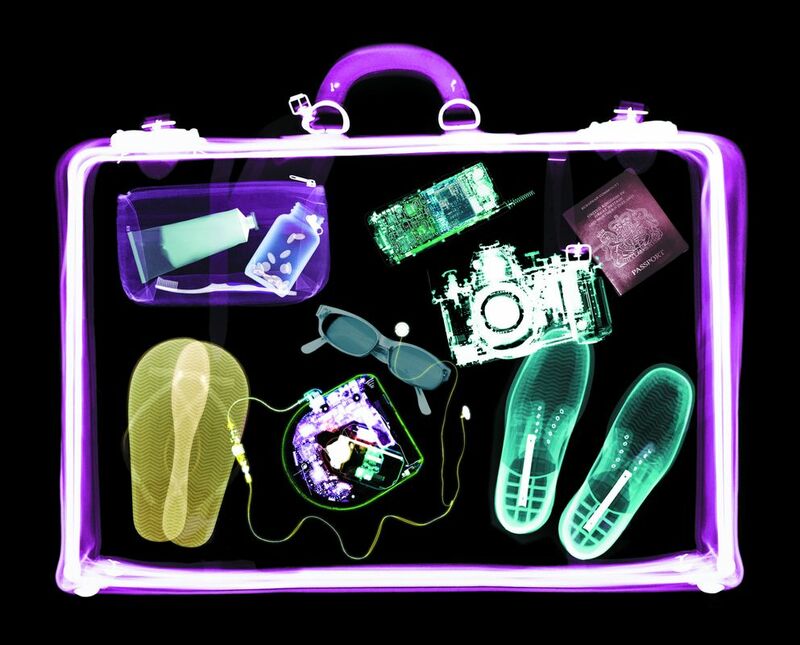 If you’re flying with hand luggage only, don’t get yourself in trouble with airport security. Be sure to check our guide about what you can and can’t take on a plane. *Updated April 2019. Prices correct at time of publication only on April 13, 2019 and are subject to change and/or availability.